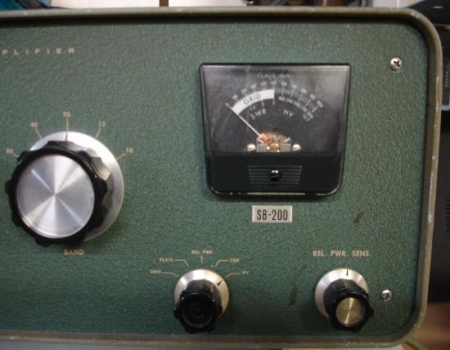 The band Coverage of the Heathkit SB-200 includes the 80, 40, 20, 15 and 10 meter bands. The input power is 1200 watts SSB and 1000 watts CW with 100 watts of drive power. This amplifier has a continuous duty cycle using SSB voice modulation. Using CW the duty cycle drops to 50% with key down not to exceed 5 minutes. The third order distortion is -30db or better at 1000 watts PEP. The output Impedance is between 50 to 75 ohms unbalanced and is a variable pi-output circuit. The SWR should not exceed 2:1. The input Impedance is 52 ohm unbalanced with a broad band pretuned input circuit that requires no tuning. The meter has numerous functions which include monitoring the Grid Current, Plate Current, Relative Power, SWR and voltage(1500 to 3000). The tubes in the SB-200 are Two 572-B's in parallel. The power requirements to run this beast is 120 volts at 16 amps or 240 volts at 8 amps. This amplifier is 14 7/8 inches wide by 6 5/8 inches high by 13 3/8 inches deep. The weight is just 35 pounds. 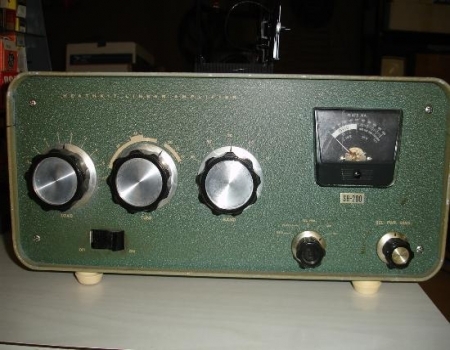 The Heathkit SB-200 is a great little amplifier and tough as nails. 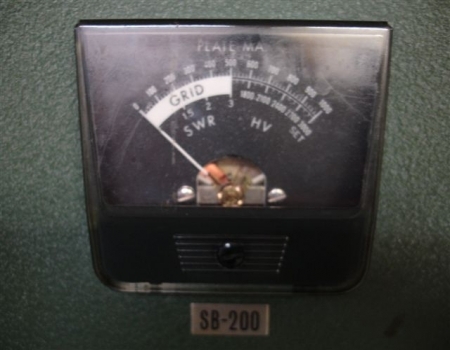 The SB-200 will normally run 600 watts of output power on the lower HF bands all day long. 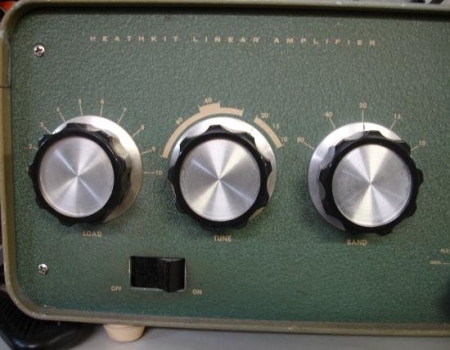 These amplifiers can often be picked up very cheaply and the Heathkit manuals can walk you through any repairs. After all, this amplifier did come in a kit version and all one has to do is follow the easy step by step instructions on how to build one and your home free. It literally is as simple as that. Not to mention that this manual even has pictures to boot. The Heathkit motto was "We won't let you fail" and they were true to their word. This is a great little back-up amplifier. Or better yet, this thing goes great with some of the older equipment here at the QTH. A special thanks to Jeff Partington(KI4FSZ) who personally hand delivered this item.